The evil witch has enchanted the meadow and the flowers can’t bloom because of the heavy tiles and chains. Help the fairy remove the spell. 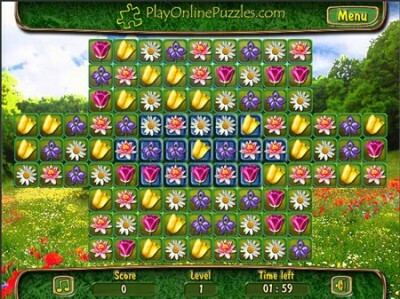 Match the identical flowers and the tiles will be removed. You have to clear all the tiles. Some of the tiles though will require more effort since they are bound with chains.